It’s been a fantastic first year in business for Chilli Valley Indian Restaurant, and to mark the occasion, the restaurant is celebrating with a Rajasthani Food Festival from 9th to 29th March. Rajasthan is the desert state of India which is very famous for its rich cultural heritage. It is known as the state of colour and festivities. Many world-famous attractions like Jaipur, Udaipur and Jaisalmer are situated in Rajasthan. Rajasthan has a glorious tradition of cuisine, for this ‘land of Maharajahs’ had some of the finest palace cooks in all India. The region’s amazing flavours and style of cuisine was shaped by its geographical location. As a city situated in a desert, the chefs learned to be resourceful, using ingredients and spices only found in the area. Indeed, it has been said that the royal kitchens of Rajasthan raised the preparation of food to the level of a sublime art. Now you can try true Rajasthani cuisine here in Beeliar. Chilli Valley’s chefs have extensive experience, having worked at some of the finest hotels in Rajasthan. The festival menu contains a mouthwatering selection of dishes, with plenty of vegetarian and gluten free options. For entree, the Masala Papad – papadums topped with diced tomato, onion, coriander and tangy masala sauce and Maas Ke Sule – lamb kebabs, spiced with cloves, chilli and yogurt sound delicious. Mains include Murg Ka Mokul – a mild and rich chicken curry made with spices, cashews and cream; Beef Hari Mirchi – a spicy beef curry made with green chilli, onion, cumin, lemon and yogurt and one of the most famous Rajasthani delicacies Dhal Batti – spicy lentils served on house baked wholemeal rolls. If you’ve overdone it with the chilli, a delicious dessert is just the thing to cool and soothe the palate. Choices include the Elaichi Kheer- Cardamom and nutmeg flavour rice & milk pudding or the Kesar Ice Cream – vanilla ice cream with a saffron and dried fruit topping. 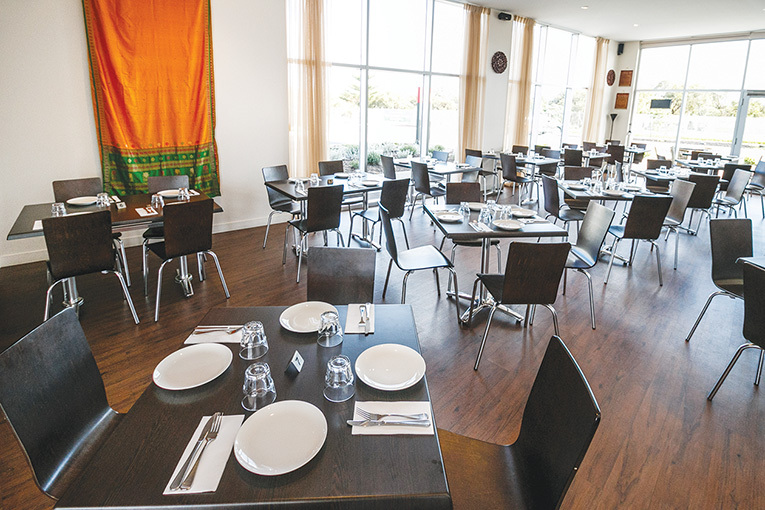 Chilli Valley is committed to showcasing the regional cuisines of India, along with the traditional Northern Indian cuisine that it specialises in. The friendly team wishes to thanks all its wonderful customers for their fantastic support during the year and looks forward to seeing you all at the Rajasthani Food Festival. Festival Special: Mention this ad when ordering one full priced entree and receive a second one at half price.